Because it shouldn't cost one month's rent to hang things on your wall. I'm really excited to bring you the 3rd part of our bedroom makeover series today. In part 1, I showed you how to paint an accent wall and the dramatic effect it can have on the feel of your room. In part 2, I showed you how to make that beautiful rustic headboard for only $86(!?). 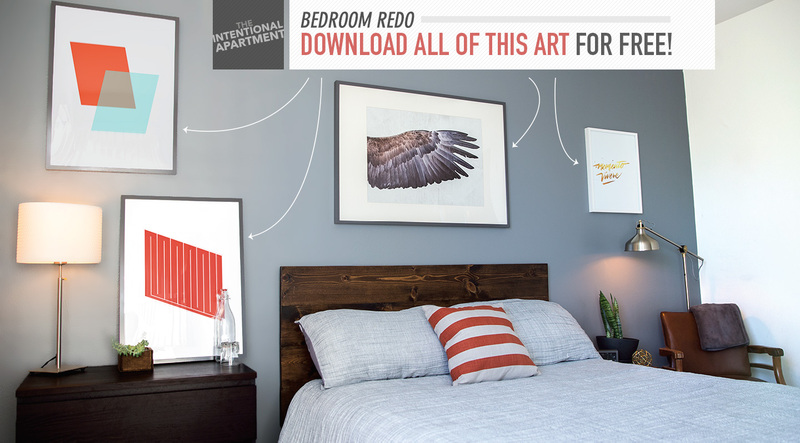 Today, I'm providing free downloads for ALL FOUR art prints I created for my bedroom wall. Just download them, print them, and frame them. Blam-o. You've got yourself a room. Having the right combination of wall decorations is paramount to creating a room with character. The things on your wall aren't simply a collection of pictures you like in frames. It's an important opportunity to introduce colors, textures, and different design styles to complement your other interior design choices like your duvet cover, wall color, furniture, rugs, and decorations. If the wall color is your suit color, the headboard and duvet cover your shirt and tie, then your art pieces are the extra but essential details like a pocket square and tie bar that set your look over the edge. Part of the reason I'm so excited to share these with you today is because I had such a fun time designing them. These two designs make use of hard angles and white space that have a distinctive 1960s feel to them. The bright colors of these prints are an integral part to the overall look of the room. The intentional gray and brown color palette of the wall, duvet cover, headboard, chair, and dresser would be flat and monotone without the vibrant solid shapes the art prints provide. The first print is inspired by the woodcuts of Donald Judd. Judd was an American artist who helped herald in the minimalism art movement, although he shunned the label personally. A woodcut is a relief printing technique where gouges are cut into wood leaving the raised levels to apply ink or paint to, which is then pressed onto the medium's surface. Similar to how a stamp works. Judd did a series of 26 parallelograms in 1963. 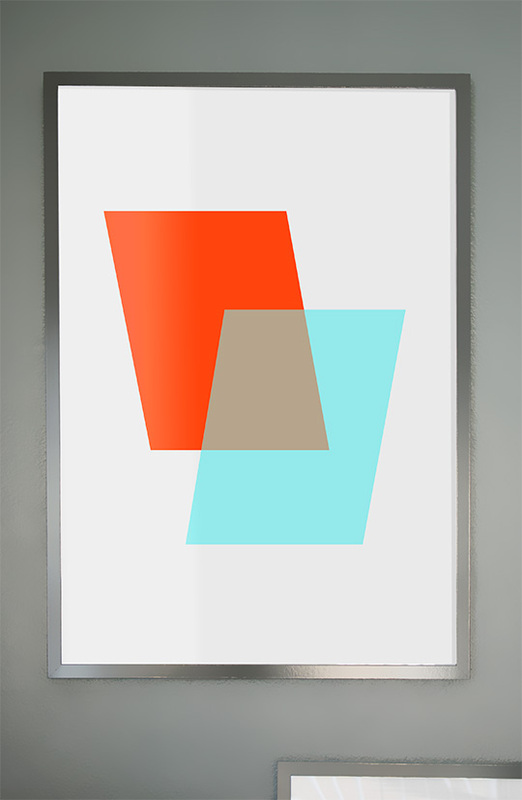 The use of cyan and this orangish red is also a notable symbol of mid-20th century modern art. Blue and red are “complementary colors,” meaning they're opposite to each other on the color wheel. These colors produce the highest contrast when paired together, which is why they're commonly referred to as “opposite colors”. This stark colorful contrast is usually avoided in most common design styles because of its ability to cause visual vibration, an optical illusion created by combining two bright colors where the shapes or forms appear to be moving. 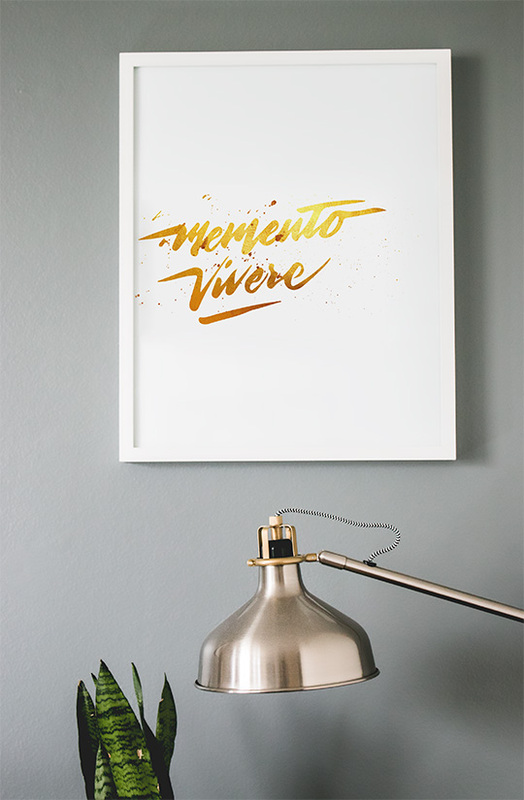 In Latin, “Memento Vivere” means “Remember to Live”. I liked this as a subtle reminder in my room, both for motivation in the morning for a great day ahead, and for those tired evenings when I'm considering blowing off plans with friends because I'm an old man. Work hard. Stay focused. But, remember it's important to live a little too. Here, the splattered gold script lettering is a juxtaposition of old and new – latin and contemporary styling – and provides modernity against the grays and browns of the room, the 1960s air of the geometric prints, and the rustic, weathered character of the wing. 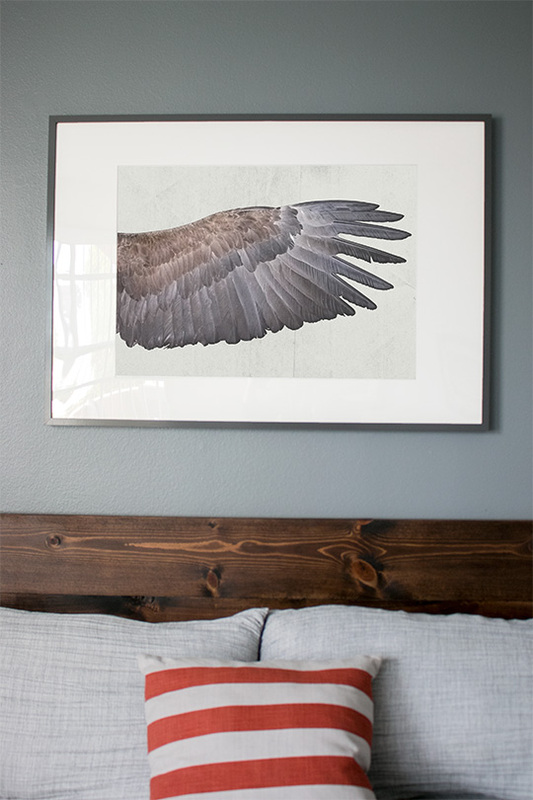 This picture of a white-tailed eagle wing on a worn paper background combines some of the grays from the room as well as the brown from the headboard. It also plays into the rustic woods in the headboard and side table. I wanted a larger piece above the bed and I liked idea of the wing, it's both a specific form but abstract in this context. Take a look at the the photo of the whole room at the top. Without the more modern and colorful prints on either side, this wing photo could be a little too…countryside. Creating a thought-out and modern (but not flashy) room is all about striking a balance between design styles. Too much in any one direction and the room becomes themed. This print is larger than its intended display size to give you some wiggle room to get the wing at the angle you want it. This extra printing beyond the edge is known as a design bleed. So just know, the edge of your frame or matte should just cover the left edge of the wing. This gives the feeling that it's still attached to the bird, and not just a random avian appendage floating in space. Hope you like them! If you end up using them, I'd love to see a photo! Share it with us in the comments below! Need art for the rest of your place too? Check out the whole Free Art Download series. Complementary colors do the thing you said. and provides modernity against the grays and browns of the room, the 1960s air of the geometric prints, and the rustic, weathered character of the wing. Crap, thanks that’s what I meant! Hey Andrew where did you find the table light and floor lamp? Thanks! Hey Andrew where is the bedding from? Yep! What Mitch said. I’ll be doing a post next week outlining every single item! Stay tuned. This is great! I remember that exact GQ article. In fact I designed and built my platform bed based on the one in the photo! Andrew, do you think there is any way to create a mirror image of the Donald Judd print, in order to recreate the two art pieces above the bed in the GQ article? Any tips on places to go for printing? I do all of my printing at Costco. It’s dirt cheap. Hey Andrew, how did you find a 24×36 print option for the wing? I can only find up to 20×30 options. Thanks for the free art series by the way, it is excellent! Hey Alex, so glad you like it! 🙂 I had to order that size in store I’m assuming because all stores don’t offer it. Maybe give them a call and see. If not you can probably find a local printer who can do that poster size for less than $20. Let me know how it turns out. I tried sending this via Instagram, but i have been having some issues with it apparently. I put 3 together in a small frame and placed it in my office. Quite a few people have commented on it. Whoa! Looks awesome like that!! Thanks so much for sharing. Hey man I dig. I might have to do that in my office as well. Thank you for posting. That looks like an IKEA frame, what size/model did you go with? It was actually an old frame I had just sitting in storage.I took the pictures out and reused it for this project. The photos are 4×6 if that helps. Most likely I picked the frame up at Michaels or Target. anyone know where i can buy the bedding and comforter? Heads up, Vistaprint seems to be a good option too. They are having a half off sale right now too. I haven’t used them yet, but I’m going to give it a shot. Update: Vista print shipped really fast and the prints came out looking really good. Awesome! I’ll have to check it out. I’d love to see a photo when they’re finished! Sure thing. Just waiting on my frames from IKEA (I don’t have one near me, closest is in Canada). Where is that dresser on the left of the picture from please? I love that wing print. You mentioned that you got it printed on worn paper. Does Costco or Vista offer that sort of poster stock? Sorry for the confusion, the worn paper texture is a part of the image! You just have to print it like normal. You play good with colors. 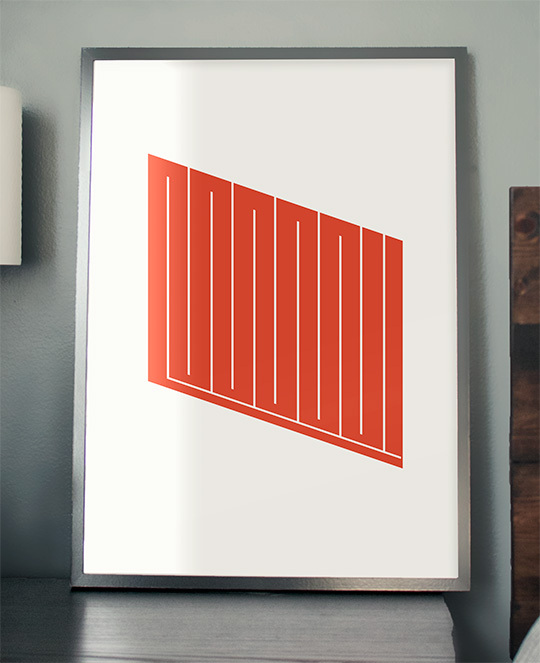 This is a super basic question but if I wanted to create the Donald Judd prints and basically duplicate what you did with the image and Ikea frame you mentioned which was sized 19 3/4″ x 27 1/2″ am I trying to get the image printed that exact same size or does it need to be a little bigger? Thanks. That’s not a standard print size, so you’ll need to find what size the place you’re having it printed does, in Costco’s case, 20×30, then create a 20×30 image with your 19 3/4 x 27 1/2 image inside of i, then cut off the excess. in the process of decorating my bedroom, artwork up first! Thanks! Love the room!!! Thanks so much for sharing!! 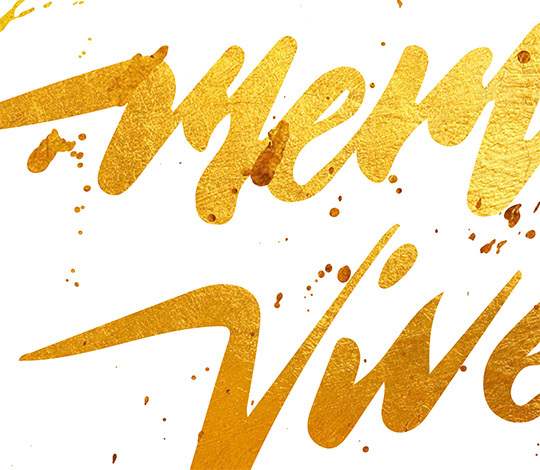 What font did you use and how did you create the splattered gold script? Andrew, this is awesome. Donald Judd prints on artspace go for $5k! Even with a good income this is inaccessible to the vast majority of people. 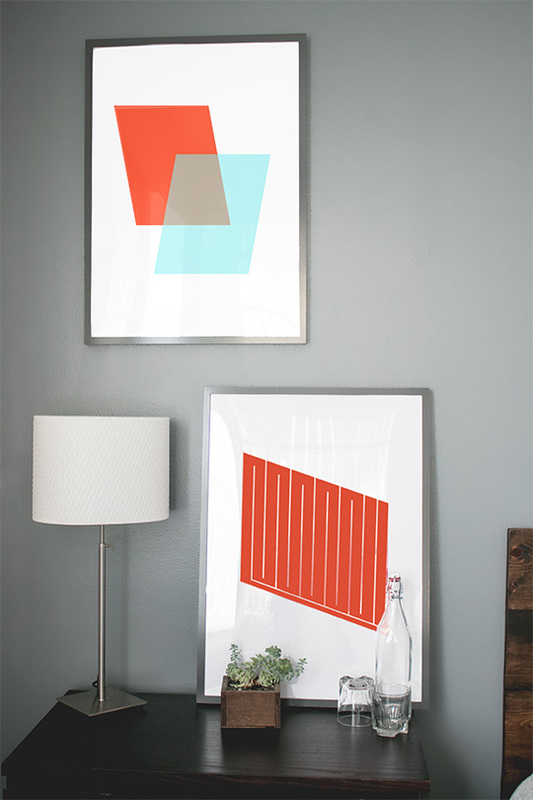 Is there a way you can create the red Judd-inspired print in black/blue? I’d like to pair red and blue prints in my office. Where did you get these printed, and what size did you get? I bought the same Ikea frames (24×36) with 19 1/4 x 27 1/4 matting) and the 20×30 print from costco puts the image slightly too small for the wing to start at the matting. With not phot editing software, trying to figure out the proper way to get these to look correct. Thanks. Why is the 20×30 smaller than the 19 1/4 X 27 1/4 matting? I hope my picture uploaded. I know this is an older post but I was so happy when I found it. 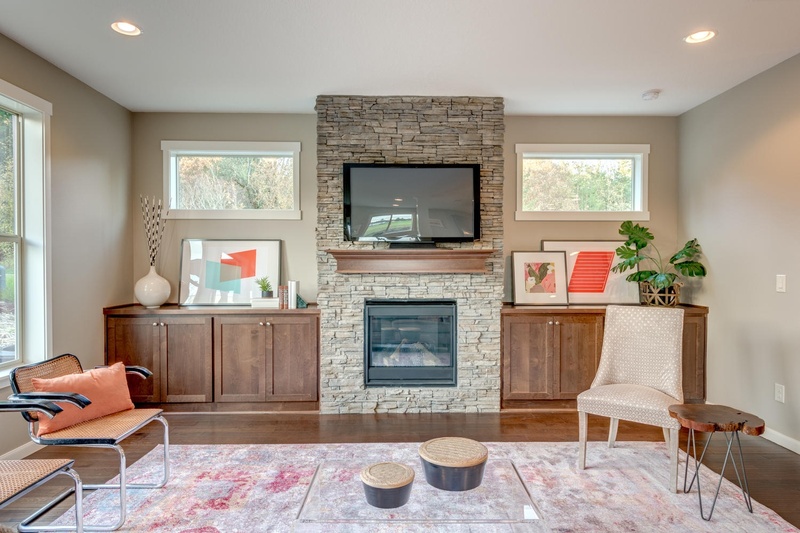 I used this art recently when staging a home…it was perfect! Thank you!